Well, here goes nothing. Matt and Ben are headed to Detroit. Thanks to this mobile's massive size, they decided driving there—materials and all—made more sense than driving. 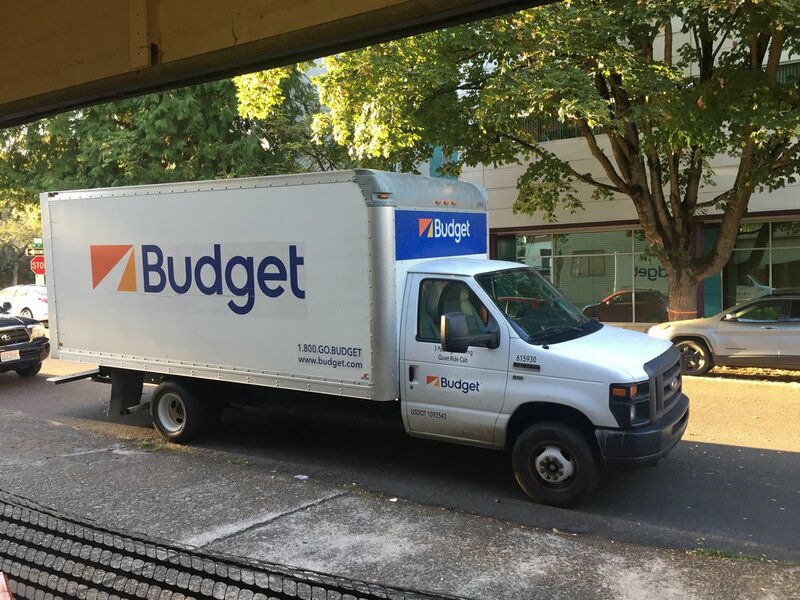 So they've loaded up this Budget truck with frames, fabric, tools, and plenty of snacks. Google Maps says it's a 36-hour drive, which they plan to split into two-and-a-half days of driving. So Bon Voyage, guys! We can't wait to see the end result!